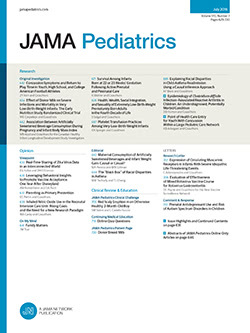 To the Editor: I have just finished reading an article in the Journal, entitled "Accidental Intra-Arterial Injection of Penicillin" by John A. Knowles, MD, (Amer J Dis Child 111:552-556, 1966). In the body of this article it is postulated that a dose of penicillin was accidently injected into an artery in the gluteal region of a baby causing tissue slough and scarring. In view of the known great irritability of arteriolar musculature to both tactile and chemical stimulation, I would like to suggest that it is almost impossible to inject material intra-arterially except by directly exposing the artery and inserting an instrument into the lumen under direct vision.